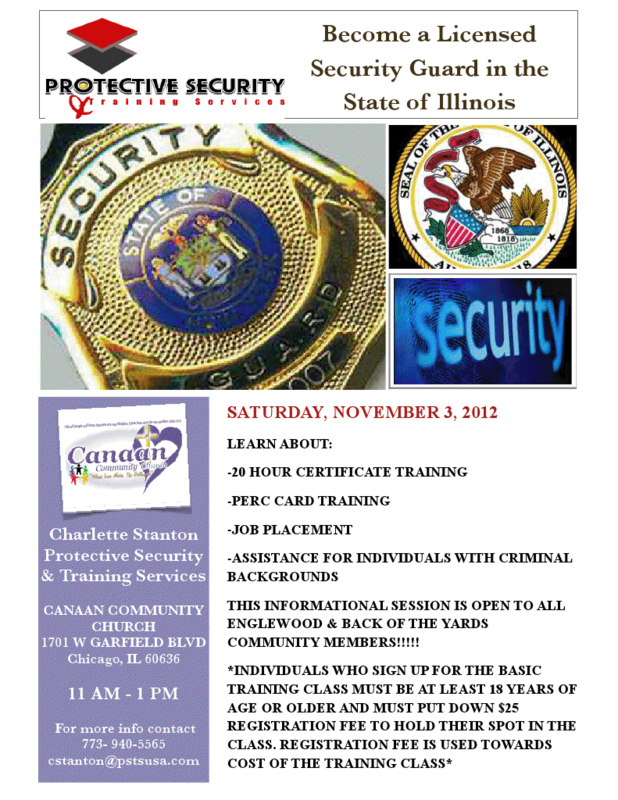 Become a Licensed Security Guard in Illinois – Saturday at Canaan Community Church! | R.A.G.E. This informational session is open to all Englewood & Back of the Yards community members! *Individuals who sign up for the basic training class must be at least 18 years of age or older and must pay a $25 registration fee reserved their spot in the class. Please note this registration fee will be used towards the cost of the training class! For more info contact Charlotte Stanton Protective Security & Training Services at 773- 940-5565 cstanton@pstsusa.com! IMPORTANT ENGLEWOOD EDUCATION INFO – CAC Meeting & Retreat! !